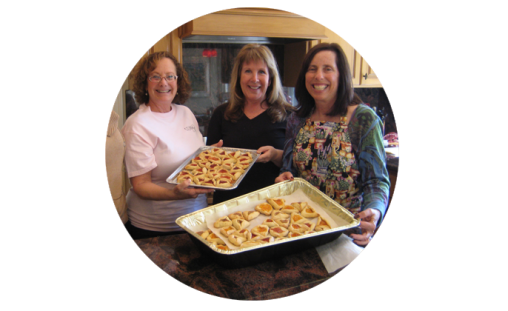 JFFS’ Women’s Philanthropy is a dynamic group of women who fundraise and volunteer for our community and Israel. Women’s Philanthropy offers opportunities to do the extraordinary with the added benefit of strong links: links to community, lasting friendships, doing good for others, and more. is a place of exalted fervor, boundless optimism and hope, and a dream of being part of something that will permanently alter people’s lives for good. As part of a vibrant and vital community of women, we will continue to grow together, to learn from each other, to appreciate our diversity and treasure our shared values as we strive for tikkun olam. Your philanthropic commitment - whether it’s $18, $180, $1,800 or more - is a powerful statement of personal responsibility for the needs of our Jewish community. Our collective power, credibility and influence are enhanced by your individual philanthropic investment. As a (grand) mother, a daughter or a sister, your personal philanthropy serves as an example of putting values into action and doing good for the world. Last year in Orange County, Women’s Philanthropy raised over $1.1 million dollars! Nationally, women contribute a total of $130 million through Federations like ours.